There are lot rumours surfacing on the internet on Galaxy Note 9 From Samsung. Galaxy Note 9 is the latest flagship from Samsung and they are planning to unveil the flagship at the Galaxy Unpacked event in New York on August 9. The latest leak was surfing online, the picture reveals the flagship design and fingerprint sensor placed just down the rear camera. Let’s roll out the details of the leaked pictures. 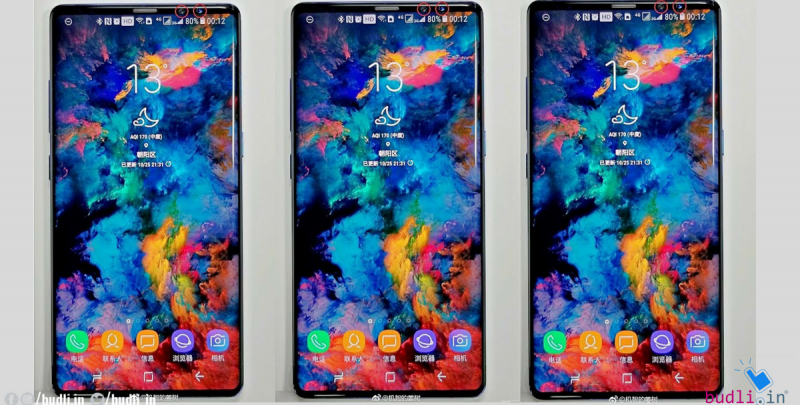 The Leak picture shows extreme bezel-less display on the Galaxy Note 9 and there is change with top bezel it is small from the predecessor Galaxy Note 8. A heart rate monitor is also present on the back of the flagship. Samsung has changed their fingerprint sensor and placed under the dual rear camera, the size of the sensor, however, feels too small in proportion to the handset itself. Samsung’s expected to sport a 6.4-inch QHD+ Super AMOLED Infinity Display with an 18.5:9 aspect ratio. The smartphone might be powered by the Exynos 9820 SoC, coupled with up to 8GB of RAM and up to 512GB of internal storage. Battery capacity 4,000 mAh battery. The specification of Galaxy S9+, the display is a 6.2″ (15.75 cm) QHD+ Super AMOLED display with a resolution of 1440×2960 pixel and a pixel density of 570ppi. It is built with an aspect ratio of 18.5:9. Galaxy S9+ is sporting a Samsung Exynos 9810 octa-core SoC and has 6GB RAM and 64GB of internal storage with expandable up to 400GB. The device runs on Android 8.0 Oreo out-of-the-box, with Samsung’s custom UI on top. It has a powerful 3500mAh battery support for fast charging, which also supports wireless fast charging. It has dual sim slots with 4G VoLTE. It has 5 screens Corning Gorilla Glass protection. It has 8 MP Front Camera and 12MP + 12MP dual rear camera. Its price is Rs 64,900. Do you want to upgrade your smartphone and bring home a Samsung Smartphone, then you surely must be right. Samsung has always come up with brilliant deals and offers which never disappoint the buyers. If you further want some more discount ( which you sure will prefer) then simply log in to budli.in. Budli is the largest online store for refurbished products and it is very easy to upgrade your device here. There are wide range of products from smartphones to desktops and the best part is that they give amazing discounts which are hard to resist. Visit budli.in and grab your device today! !